My grandma used to make some of the best sugar cookies in the entire world. No, I'm not being biased. I swear. 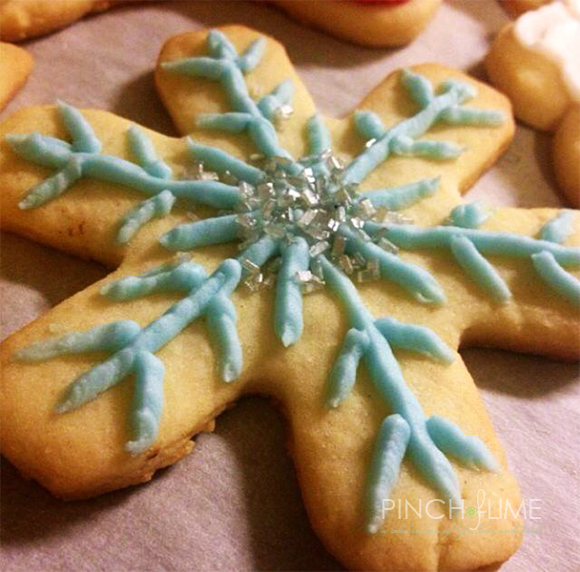 When we were little, my sister, my cousins and I would look forward to these cookies every Christmas Eve. They were sweet, crunchy, and perfectly sized for little kids and adults alike. I used to get jealous because my sister would be the one who helped my grandma make them and that meant I never got to taste them until our family dinner. And, unfortunately, it also means that I have no idea how to make them. My grandma is gone now so it's been a very long time since those cookies have been around. I used to try really hard to duplicate pretty much everything she used to make, but I've realized that it just isn't possible. She was a Polish grandma. And like pretty much every other grandma out there, she had her own measuring techniques and her own ingredients and I'll never be able to go back in time to figure out what those were. I've finally come to terms with that. So the only thing I can do at this point is do my best to make an updated, albeit different, version to her classics. 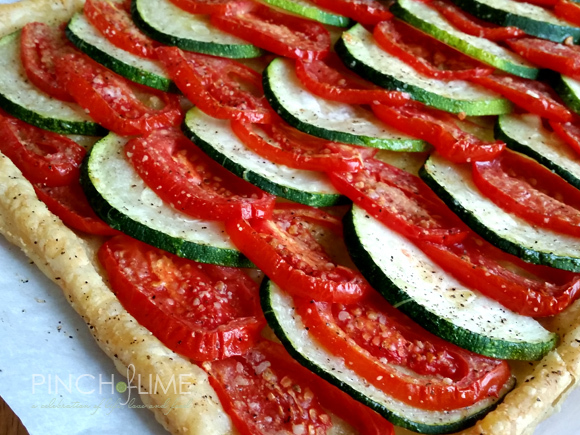 I originally planned for this tart to be a quick, plain tomato-style to use up some of my garden tomatoes. Instead, I just kept adding things and it turned into an awesome tart with zucchini and garlic. Those combinations are so amazing together!